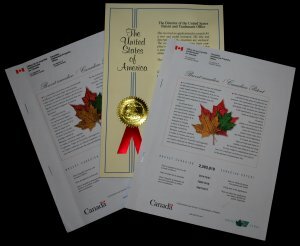 Thomas FX has just been granted a third patent for its proprietary SNO-FX! . . . often referred to by the movie professionals around the world who use it as the world's best fake movie snow. Several years ago SNO-FX! from Thomas FX was considered for an Academy Award nomination in the Science and Technology category. As it turns out, every special effects member of the Academy Awards selection committee had actually used fake snow from Thomas FX in their movie projects. Other types of fake snow used in film production are industrial products, such as white attic insulation, salt or flour, which are repurposed for use in films. SNO-FX! from Thomas FX is the only fake snow in the world invented and manufactured specifically for use in the movie industry. Our patents attest to the uniqueness of Thomas FX fake snow. Brilliant white in color, SNO-FX! comes in four unique flake sizes which can be used seperatly or in combination to create stunning snow effects. It looks and acts just like real snow, falling, drifting, blowing and forming cornices just like the real thing, As SNO-FX! is also non-static, non-toxic, and environmentally friendly, it is often used in environmentally sensitive locations. We also custom manufacture colored SNO-FX! as well as the popular black SNO-FX! a.k.a. BIO-ASH, which is in high demand as an alternative to artificial volcanic ash in television and movie production. Plan to use Thomas FX fake snow and/or BIO-ASH volcanic effects in your next production.